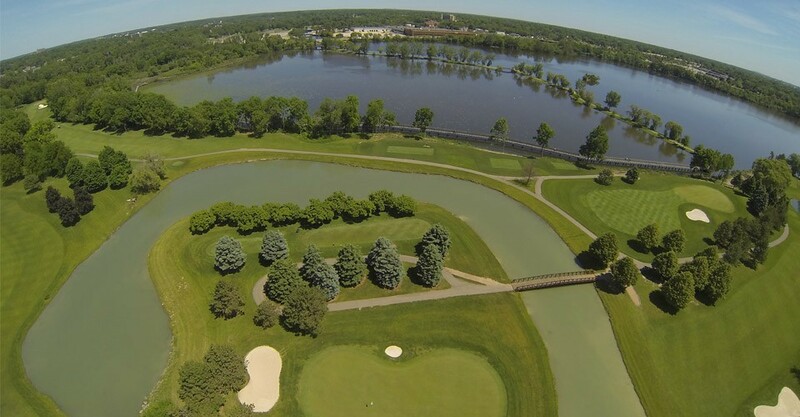 Eagle Crest Golf Club, Ypsilanti, Michigan - Golf course information and reviews. 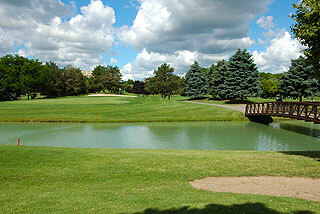 The golf club features an 18-hole championship golf course overlooking the picturesque Ford Lake in Ypsilanti Township. 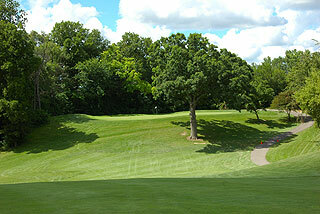 The par 72 course provides any golfing buff with one of the most challenging courses in Southeastern Michigan. The layout of the course - designed by Karl Litten of Boca Raton, Florida - dares both novice and seasoned golfers with several holes bordering the banks of Ford Lake and five scenic but challenging water hazards. The golf course has four different sets of tees that provide a variety of choices for all visiting golfers and stretches to a length of 6803 yards from the championship markers. The Eagle Crest Golf Club possesses a USGA course stroke rating of 73.6 and a slope rating of 142 from the championship tees. The golf course is owned by Eastern Michigan University and is open to guests of the adjoining Marriott Hotel, Eagle Crest Conference Center, the university community, as well as the golfing public.